Website developers Virginia | This secure database driven Word Press website developed for a professional association comprised of security specialists located throughout VA. The website is mobile responsive and features an online membership and events posting web application. 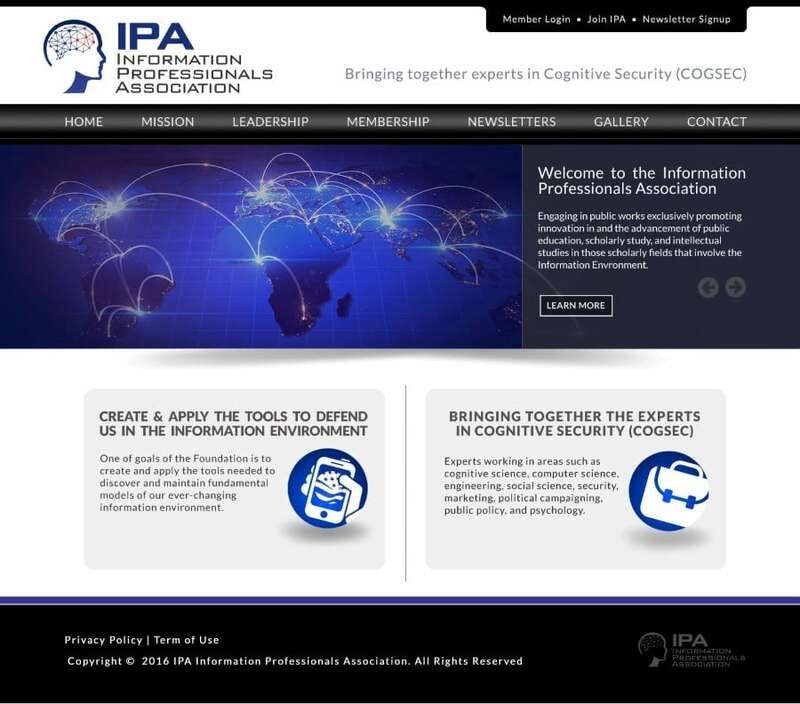 IPA provides a forum for information professionals to interact, collaborate, and develop solutions that enhance the cognitive security of the US and our friends and allies. Professional associations turn to VISIONEFX for the very finest web development in Virginia. VISIONEFX provides web development to small business and organizations in every corner of the Virginia region. Search ‘Web development Virginia’ and find VISIONEFX.